Keenan & Gray at the Portfolio Festival, Tickets Available Now! 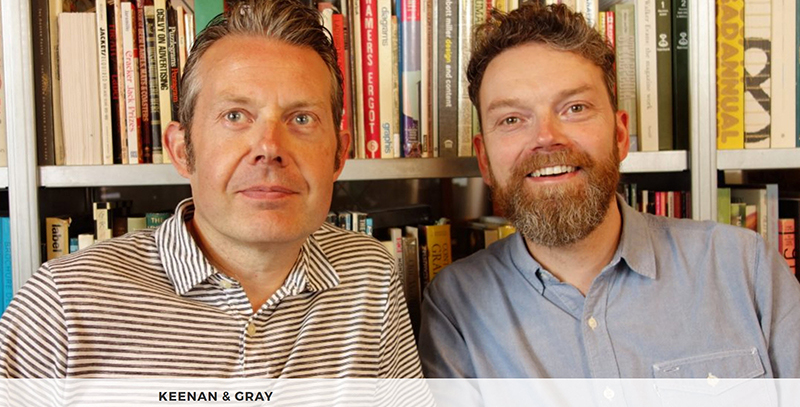 Jamie Keenan and Jon Gray have been designing book covers for over 20 years. Between them they have worked for every major publisher in the world and most of the minor ones too. Their work has won awards on both sides of the Atlantic and featured in exhibitions worldwide. Among the many they have covered: Zadie Smith, Nick Hornby, James Gleick, David Foster Wallace, James Bond, Jonathan Safran Foer, Stephen King, Richard Dawkins, Kafka, Nabokov, Steinbeck and more.